The publisher of DSO News is big on automation. 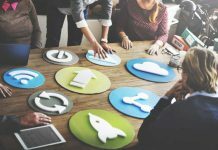 It is what allows the company to continually and successfully execute new services for DSOs and the companies serving them without having to grow headcount as quickly as others would have to. 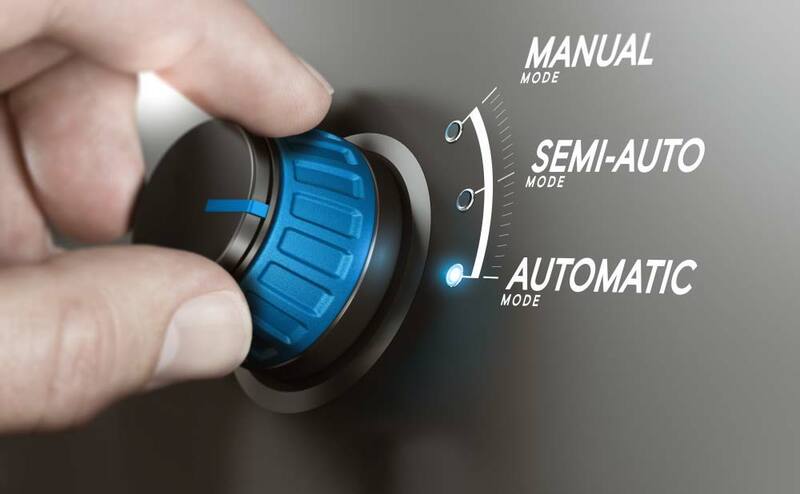 To challenge DSO News readers to automate corporate and practice operations as much as possible, I evaluated a handful of dental practice automation solutions. The company that stood out to me is RevenueWell. Last year they took their dental practice automation offerings a step further by introducing an enterprise portal that enables the DSO to manage all locations with a single login. Before introducing the enterprise portal, DSOs had to log in to each office individually. Having to log into each office is still a requirement of the other solutions I researched, which is why RevenueWell stood out. 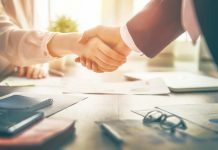 I reached out to Samantha Aponte, the Enterprise Account Executive, at RevenueWell to discuss practice automation and how it helps DSOs. JB: Hello Samantha! Thank you for taking the time to speak with me today. Let’s get right down to it. Your company helps the practice automate many mundane yet critical tasks such as patient communications, appointment scheduling and confirmations, reputation management and social media. You also provide a secure patient portal. Based on my research, there is no lack of companies out there offering similar solutions, either individually or together. Tell us, what makes RevenueWell different? SA: There are several areas that set RevenueWell apart. First and foremost, RevenueWell was designed by dentists, for dentists and their practices. We know first-hand what your customers go through to manage their practices, keep their appointment books filled, get patients back into the office for recommended treatment plans. Second, our feature set goes beyond the basics, or mundane yet critical tasks, as you call them. For example, RevenueWell has a custom campaign capability. We have advanced simple-to-use filtering options that enable us to read the ADA codes, and you can create targeted campaigns from the more than 150 templates we provide. A targeted campaign could be built in less than five minutes. This isn’t an insignificant issue, as the average practice has about $500,000 of outstanding treatment out there and are still manually making phone calls by pulling reports. This day in age, we need to maximize on how we reach out to these patients – this is a significant part of the business! Third, and relevant to your readers, is that we’re applying the same dental-first thinking to the DSO space, such as the capability to execute marketing campaigns across multiple offices or create limits on user access so there’s no accidental cross-office confusion. But ultimately, it comes down to how well an organization builds relationships with its patients. I cannot emphasize how imperative it is for practices to maintain personal relationships with their patients – this influences your brand. JB: Of the five solutions I researched, yours stood out most because of the enterprise portal. How does your enterprise portal make life easier for the DSO that has already centralized many practice management tasks? SA: Our Enterprise portal gives the administrator a master login to access all of the DSO’s locations, enabling the ability to market across multiple locations at once. You can also manage user roles, and control which communications you would like to turn on/off per location. This is an extremely easy way to aid in brand consistency and uniformity across all locations, while customizing where needed. JB: For those DSOs who haven’t centralized practice management tasks for one reason or another, what are the benefits of doing so? Besides the cost savings afforded by centralization, what are some of the other benefits the average DSO executive may forget to consider? SA: Think about the time spent when you want to make a change across a network of 10, 20 or more practices—logging into each office, making the change, logging out, and repeating for each office. A centralized system frees up tremendous time. Whether you’re looking to promote any particular dentistry, office technology, promotions or announcements across multiple locations. Further, we can effortlessly see the revenue generated on each campaign, having a single login to monitor the overhead, manage particular controls for each practice if they’d like, and relieve individual practices of some of these duties. JB: I am a huge proponent of active reputation management and have previously written on dental reputation management for DSO News. For those who do not know, what is active reputation management and how does RevenueWell address this pain point? SA: A substantial number of patients read reviews ahead of time and trust a business more as a result. With RevenueWell, we do enable patients to post to public profiles that new patients will trust, like Google and Facebook. We offer reputation management as a feature as well! If that’s not enough, we also provide a microsite that streams these public reviews as another source for potential new patients to view and reference. JB: Without automation, appointment confirmation is a big time investment that has to be done every day because too many patients would otherwise miss their appointment. Please tell us how RevenueWell soothes the appointment confirmation pain point. 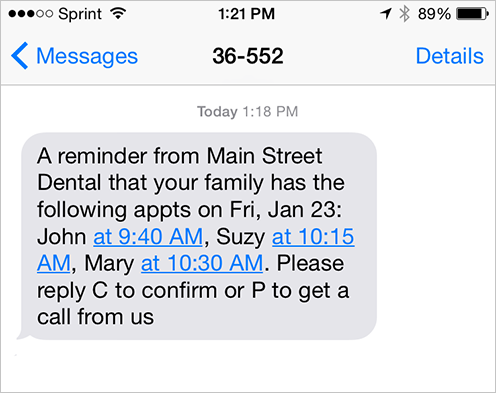 SA: It’s as simple as setting up an automatic text and/or email asking the patient to confirm. Also, if we are confirming multiple appointments for a single family – we can send out a single confirmation email/text to the responsible party and they can confirm multiple appointments with a single response! Once they reply, we’ll update the practice management system. JB: You also make plugging schedule holes painless with ASAP list notifications. How do you do this? SA: We pull the data from the practice management system for those patients waiting on standby, or our ASAP list can be used as a standalone, however you prefer to use it. In any case, as soon as there is an opening available, you can select which patients to simultaneously notify and get them on the books! JB: I always try to use doctors and specialists available on ZocDoc because I am inevitably put on hold when calling to schedule an appointment. Sometimes it’s quick and painless and other times I have wondered if they forgot about me and went to lunch. Please tell our readers about your online appointment requests. How does that process work? SA: Patients can easily request an appointment online through the microsite we provide, the hyperlinks we provide to place on the practice’s website, or even via any emails we automatically send out. Further, patients can just text the practice as we offer 2-way texting! JB: You also provide newsletter and email campaign management. I believe our readers are familiar enough with the concept and its benefits, so I am going to skip over that and move on to social media management. There is no shortage of social media management tools available, so tell us why a dental practice would want to use yours instead. SA: Our social media has an automation feature that keeps your Facebook up-to-date automatically, posting on behalf of the practices. We provide a library of posts that practices can use and modify to either post now or schedule for the future. Both are great ways to keep social media current without having to build from scratch! It’s meant to be a start, but we know the best performing practices will supplement that with their own content. I feel it’s significant, that no matter what social media management tools you are using, to add personal images/videos of the staff, as that is most engaging to patients. They know your faces more than anybody else’s! We provide a library of posts that practices can use and modify to either post now or schedule for the future. Both are great ways to keep social media current without having to build from scratch! JB: Your patient portal is pretty robust. Tell us what prospective and current patients can do with the patient portal. SA: Patients can request appointments, view and pay any overdue balances, see which dependents are overdue, leave reviews, and even have files shared with their Doctor in a HIPAA-compliant manner. The patient portal can have as much or as little information as you would like on there as our system is vastly customizable! JB: Protecting personal health information is not only important, but also mandated by law. Naturally, as you cater to healthcare practices, your solution is HIPAA compliant. Going beyond that, however, tell us how your HIPAA compliance enables practices to automate tasks they wouldn’t usually be able to do through another provider, such as Mailchimp, which offers email automation. SA: Using a HIPAA-compliant system enables peace of mind for any users whether this is for individual practices or even larger DSO groups. All the data that the system is using is based on the data that comes from the practice management system, which keeps this extremely secure. RevenueWell does not look to outside resources to obtain patient or manage patient information; this is all kept under one roof in order to ensure and maintain compliance and privacy. With third party systems, you may be at risk of sharing patient information, even data as simple as both a first and last name could be a violation! JB: Which practice management software packages integrate with RevenueWell? SA: We are currently compatible with Eaglesoft, Dentrix, OpenDental, PracticeWorks, and Denticon. JB: What if a practice or DSO is using software not included in that list. Is RevenueWell still for them? If yes, how so? SA: We’re constantly updating RevenueWell, so while I can’t tell you which PMS is next, our product team will continue to find ways to grow our support options and make it happen! JB: You offer a lot of different dental office automation features and I think I covered them all. Is there anything I’m forgetting? SA: We have certainly covered the biggest highlights. I’ll put a quick word in for a couple of recent product announcements. Just last year we introduced RevenueWell Forms, a paperless forms product to streamline workflow in practices and reduce the amount of money and time spent on data entry and paper. We also introduced RevenueWell Messenger, a texting and messaging platform, and RevenueWell Payments, which gives practices the ability to process payments and gives patients an online option to pay their overdue balances! And we just announced Screen Pop and RevenueWell Phone, which integrate voice communications with RevenueWell. Now practices can see who’s calling even before they answer, which gives them another way to personalize the response to the patient and save time. JB: How long does it take to onboard a solo-practice? Is the process longer for a DSO? If yes, what does the onboarding process look like for them … how long until they are up and running? SA: To onboard with RevenueWell, it is as simple as an install and a training and the practice is all set! The process is the same for a DSO, the difference being that the DSO will have a dedicated Success representative taking care of all their locations. In both scenarios, we do offer unlimited support & training! JB: Let’s talk about time savings, which equals labor savings, which in turn becomes increased profits. Can you give us a couple of examples of how long common tasks typically take to manually complete verses letting RevenueWell do it for you? SA: Often, when I ask practices about their biggest time-consumers, (outside of calling insurance), they are calling patients back into the Doctor’s chair for overdue treatment, assuming they can get a hold of them via phone call. If we think about the amount of time it takes to place these calls, leave voicemails, take care of call backs, and also re-dial those who didn’t answer (which varies from practice-practice), on top of everything else, we’re looking at hours of time on the phone per day. The vast amount of automatic communications we offer are designed to effectively reduce the amount of calls, fill up the schedule, and have the staff taking care of other more important facets of their day – which includes insurance, overdue balances, etc. Also, with our paperless forms, practices reduce admin duties by roughly 20%. JB: Feel free to ballpark this number … annualized, what can the average practice expect to save by automating some of these tasks? SA: We just analyzed data across all our customers and we found that the average practice using RevenueWell sees a practice revenue increase of about $66,000. Much of that is from an almost immediate 15% increase in the number of monthly appointments. All those appointment reminders, customer campaigns, and other communication really pays off! JB: Samantha, thank you so much for taking the time to speak with DSO News. It is greatly appreciated. Do you have any parting words for our readers? SA: Firstly, thank you for making it to the end of this interview! RevenueWell is a system designed exclusively for the dental industry. We take any feedback we can get, and push things forward. From a DSO standpoint, our initiative is to ensure all locations maintain brand consistency. To streamline workflow and reduce the amount of time spent to get to where you want to be. And, of course, boost the bottom line. Feel free to check out a demo!